How to watch super bowl online right now. Get reading. Less than seven days remain before we finally get to see Super Bowl LIII. And there is a lot of stuff you can do to make sure that you are able to watch Super Bowl for free and without commercials online. We are aware of the fact that if you have managed to land on this page then there is a high chance that you have already become sufficiently excited about the greatest sporting event in the world that is Super Bowl LIII. And we are here to tell you that we are glad as well. Super Bowl LIII is less than a week away. The small amount of time that is left dictates that you learn everything there is to learn about this big sporting event in 2019. In this battle of the titans event, LA Rams and New England Patriots will go head to head this coming Sunday in Atlanta. Hence, this is the guide for all those online consumers who have decided to plan for their watching party with friends and family. This guide will also help out those users who just want to confirm the channel they would have to tune in to in order to watch Super Bowl LIII. We have pretty much every piece of information that you could need. All you have to do is to follow the steps we have mentioned in the subsequent sections and you won’t have any troubles in understanding how to live stream 2019 Super Bowl without commercials and for absolutely free. With our methods, your actual location on the map would become irrelevant. So let’s start off with the fact that Rams and Patriots have fully prepared themselves to face each other in a huge game. It is pretty much impossible for the majority of the experts on the matter to call this game. However, we cannot ignore the fact that the Los Angeles team/franchise managed to perform better in the regular reason. Latest statistics show that they managed to have a 13-3-0 record. Our research shows that the only other team that has managed to put up such numbers this season is New Orleans Saints. The only problem with that statement is that New Orleans Saints vanquished pretty quickly in the related conference finals. And perhaps this is the best time to mention Sean McVay. He successfully became the youngest ever head coach in the history of NFL when he finally took his dream job in 2017. Moreover, he is still going strong and has continued to confound all of his critics. We have no doubts that he wants to make some more history, once again. With that said, no one can deny the fact that New England Patriots have a big weapon in the form of Tom Brady. In other words, New England Patriots have all the experience that comes handy in big games. This new Super Bowl LIII encounter would mark the third consecutive time that they have managed to visit the Super Bowl final. We also have to mention the fact that New England Patriots can count on possibly the greatest quarterback in the history of this sport to lead their line. And there is plenty at stake at the moment. New England Patriots have the chance of tying the other great franchise in the form of Pittsburgh Steelers for the title of the most successful franchise in the history of NFL when it comes to Super Bowl LIII. We should also mention that both teams required overtime to secure their passage right through to the official 2019 Super Bowl LIII in their respective (and very difficult) Conference Games. And you will not win any prizes by guessing that the star of the show for the Patriots was once again Tom Brady. Tom Brady managed to deliver yet another a passing and tactical masterclass in order to enable Patriots to beat their rivals in the form of Chiefs. With that out of the way, how can we not mention Greg Zuerlein for the Rams? His boot (and skills) had the final say over the results in the NFC. In other words, he kicked the winning goal which finally took the Rams (and their coach) to their only Super Bowl game in a total of 17 years. Do you know who did the Rams lose to all those years ago? Rams lost to New England Patriots back then. 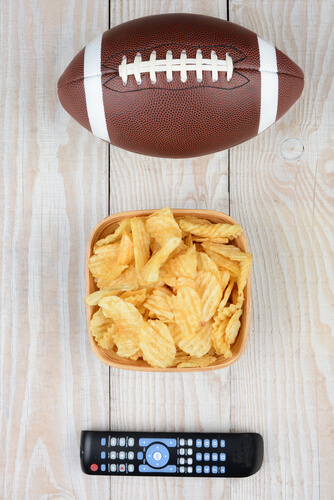 In this guide, we will also try to make sure that readers have each and every piece of necessary information that they may need in order to get ready for the Sunday Super Bowl game. It doesn’t really matter if you live in the UK, or the US or any other part of the world. This guide will show you all the steps you need to follow in order to live stream the Super Bowl 2019 event. You can rest assured that with our methods you will not lose a single minute of the biggest sporting game of the year. The first thing you need to know here is that, in the US, CBS will take the responsibility of broadcasting the whole game. 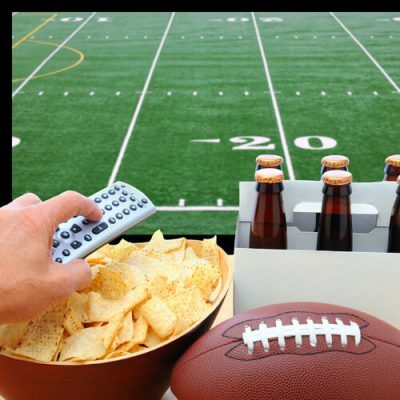 However, there are actually several methods in which you can watch Super Bowl game locally as well as internationally. We have some clever little tricks that you can use in order to not even put up with those expensive but annoying advertisement breaks. Let’s talk about the absolute best way in which to watch the 2019 Super Bowl online from any given location in the world and without a single commercial break. Step 1: Sign up for a VPN service, download the app and then install it. Perhaps we won’t need to explain this in detail to you that if you do not have any type of convenient access to officially watch the 2019 edition of the Super Bowl online and live in the country of your region then a VPN service is a must. If you are one of those users who just do not fancy themselves facing the prospect of watching commercial breaks after every few minutes or so, then the best method to watch Super Bowl for absolutely free is to sign up for a VPN service, download the official VPN app and then install the VPN service. Here at Security Gladiators, we have managed to test pretty much each and every major mainstream VPN service available in the market right now. Our research shows that the best VPN service for Super Bowl at this moment in time is IPVanish. IPVanish is compatible with probably all of your internet-enabled devices. Not only that, IPVanish works with almost all streaming services. And we have found it to perform fast enough to compete with the best in the world right now. Not only that, if you are lucky enough you might catch IPVanish during a discount season and then get a huge discount with its annual packages. Not only that, sometimes you can also avail as much as 3 months of free VPN usage depending on the market situation. So if you had this desire to sign up for a good VPN service for a long period of time then this is the best time to actually do it. Click here to sign up for IPVanish from the official website and that too at a discount. Step 2: Then connect to a VPN server that is located in the UK. After you have signed up for a VPN service and have also managed to download and install the VPN app, you should open up the official VPN app. Remember that you can download the file for the VPN app for free from the official website of your VPN service provider. In any case, once you run the app you also need to hit the button that allows you to choose your location. After that, you must click on a location that is based in the UK. Our research shows that it does not really matter if you choose a VPN server based either in London or Manchester. This step is perhaps the easiest to complete if you ask us. But why are we telling you to connect to a VPN server that is located in the UK? Well, the reason is that related channels will broadcast Super Bowl LIII in the UK for free. In other words, the sooner you move ahead and connect to a UK server to get a UK IP address then sooner you’ll become free to actually watch the 2019 Super Bowl online and hassle-free. Because it is perhaps the best free and legal streaming service in the online world. Our research shows that this service currently offers channels that number in the hundreds. Among its giant list of available channels, there is BBC One. BBC One has everything it needs to show the entire Super Bowl event live and online. Here comes the best part though. The broadcast that you will see via the BBC One service will not have any commercials. In that way, you will have the choice to watch and enjoy a completely uninterrupted Super Bowl coverage without having to see a single advertisement or the break related to it. The next step is to watch BBC One via TVPlayer. If you want to go ahead and record the 2019 Super Bowl event and then have the facility to watch the event later, then you can do that with TVPlayer. In other words, it allows you to accomplish that with ease. Of course, you will have to actually sign up for an official account (a paid account). We know that is bad news. But we also have some good news. The good news comes in the form of TVPlayer offering users a mammoth, relatively speaking, 14-day trial of their service for free. So you do not really have to make any payments to get started with TVPlayer. As mentioned just before, a VPN service should have no problems in enabling you to go online and watch the Super Bowl LIII from pretty much any country in the world. For online consumers who happen to live in the US, they will first have to make sure that they have access to a good internet connection (kind of obvious and applicable to all countries). After ensuring that you should have no problems in watching the whole of the 2019 Super Bowl on channels such as CBS. Additionally, instead of simply broadcasting the whole Super Bowl event on just cable TV, CBS (the giant network) would also stream the Super Bowl event online and live via its official mobile apps and Sports website. Moreover, CBS has taken the extra step of sweetening the deal by enabling online consumers to stream the whole of the 2019 edition of Super Bowl without even signing in to the site. If you have a preference for watching football or any big game on a big screen through some of your favorite online streaming platforms, then you have the option of doing that. Well, that is CBS’ part. However, if you simply do not want to watch any type of commercials while watching the Super Bowl then you should probably follow one of the methods that we have mentioned above. You should also know that all Verizon subscribers would have the opportunity to stream the entire Super Bowl game on any of their internet-enabled mobile devices. All that they have to make sure is that they do so via the company’s very own carrier-independent online website. Such users can do the same via other online services such as Yahoo, Complex and AOI. Now is a good time to remind you that CBS is not the only channel in the world that is showing Super Bowl. 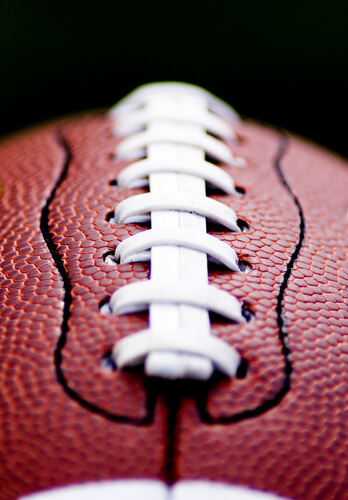 There are lots of other sites that you can configure to act as your conduit to the official Super Bowl game live. All of these services have enough competency to act as legitimate alternatives. Our research shows that each of the options that we have mentioned above offers users a free trial period. This is the thing that you get access to the first time you start with any of these services. Not only that, each of these services offers users with a massive amount of quality content. There are also many channels that you can watch and enjoy. All you have to do is to subscribe. Remember that you will probably need to have a US IP address if you want to make sure that you have full access to all of the options that we have mentioned above. If you do not have a US IP address then we are afraid you won’t have the option of accessing all the content that we have mentioned above from abroad. Users who want to get a US IP address already know that all they have to do in order to get one is to read our VPN guidelines that we have mentioned above and then log in with their VPN credentials when they have opened the official VPN app. Once they have done so, they will need to connect to a VPN server that is based in the US and not anywhere else. How to watch 2019 edition of Super Bowl outside the US and in the UK online? Fans of American football living in the UK will have the opportunity to watch 2019 Super Bowl either via BBC One at no cost or via Sky Sports if they happen to have a subscription and prefer to follow the American coverage of 2019 Super Bowl. For the BBC One option, we are assuming here that you happen to have a valid TV license. Remember that BBC One will start televising the event at 11 pm GMT. That may be a bit too late for some folks living in the UK. For them, we say they can go to sleep with ease because many stations will show replays of the game the following morning. People who want to live stream the whole NFL event online, they can take advantage of the official BBC iPlayer service both on their mobile and desktop. Things have changed now and our research shows that BBC iPlayer may require you to first register and then try and watch something. The registration process is not only straightforward but also simple. Let’s go through some of the channels that you need to watch out for. How much for Super Bowl ticket? Currently at around $3600 per person if you do not mind sitting at the back and in the 300 level of the stadium. For the 100 level seats, you will have to pay $15,075 per person. That is expensive but you do get access to the entire Premier Party all-inclusive (it lasts around 3 hours) in Georgia World Congress Center. You will also get some meet and great opportunities and appearances with NFL stars along with Hall of Famers. 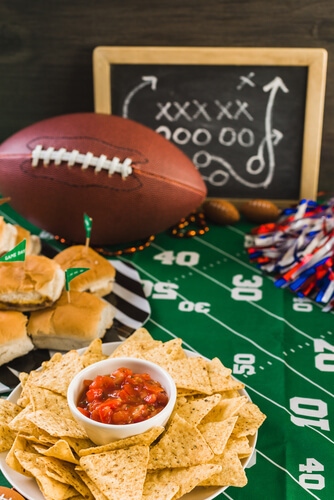 Moreover, you will get some pre-game hospitality along with a confetti-filled post-game celebration. When is Super Bowl 2019 LIII? It is on February 3. The Super Bowl will actually take place on a Sunday. When does Super Bowl 2019 start? Super Bowl 2019 starts at 3:30 pm PT and 11:30 pm GMT and 6:30 pm ET. List of things at Super Bowl halftime. Probably some band will play something that no one is interested in. Where does Super Bowl LIII take place? As mentioned before, everything regarding Super Bowl LIII will happen in Atlanta at the official Mercedes-Benz stadium. In fact, the Super Bowl LIII will mark the first time that this very stadium would host the biggest sporting game in the world. For those interested, the stadium opened around 2 years ago in 2017. Of course, as far as the Super Bowl game itself is concerned, Atlanta will host it for the third time. Back in the day when the Georgia Dome had not gone through a demolition process, it hosted Super Bowl XXXIV and Super Bowl XXVIII. Our research shows that the new stadium can hold 71000 fans.